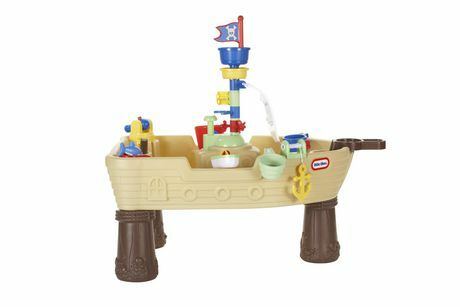 Get ready for a water adventure! Ahoy matey! Get ready for a water-time adventure with the Little Tikes Anchors Away Pirate Ship! 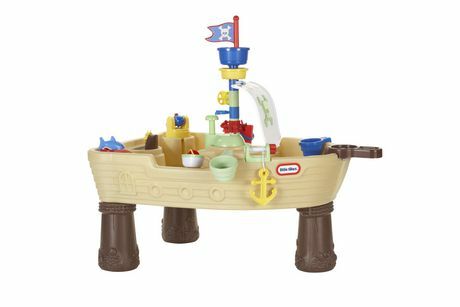 Two fun characters, a squirting shark and a water fountain make sure that kids will have hours of fun on the high seas. 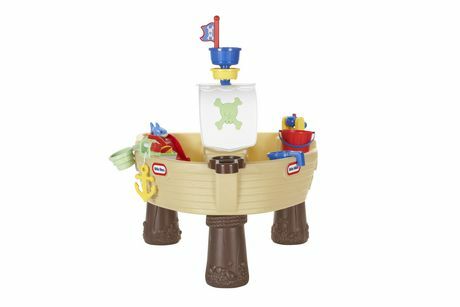 Creative play and active play come together in this pirate- themed water table! 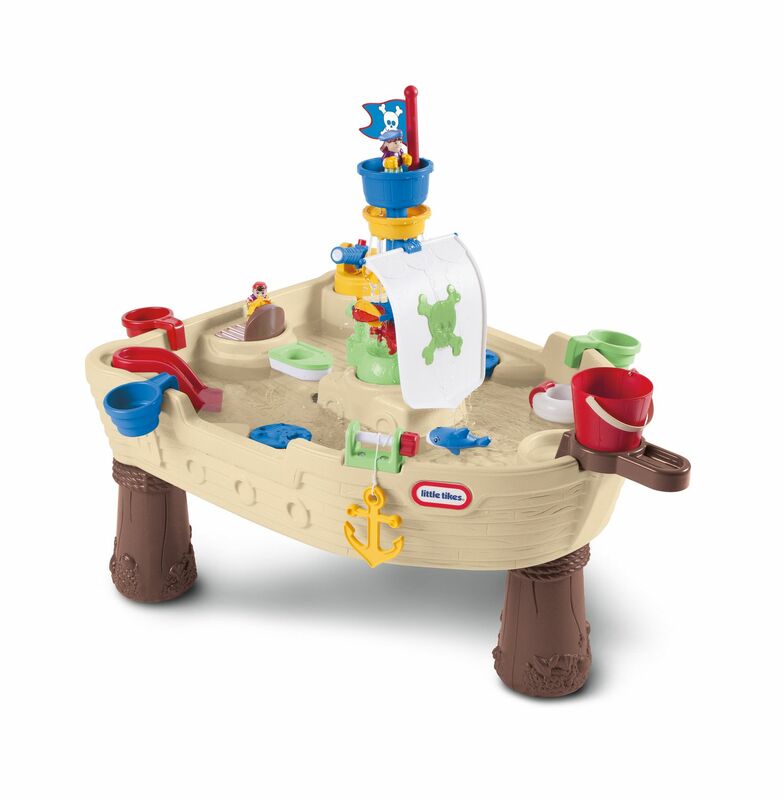 Squirt water from the cannon, create currents with the spinner and splash away the day. 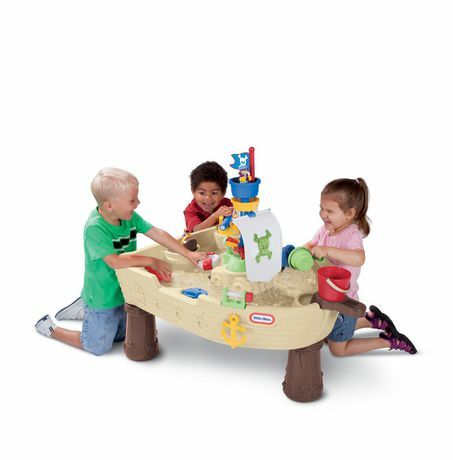 Kids will find an endless amount of activities in this water play table. 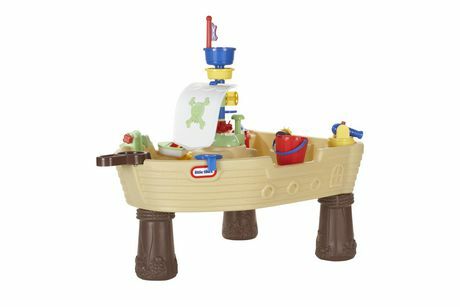 Two fun characters, a squirting shark and a water fountain make sure that kids' will have hours of fun on the high seas.